Give out the ultimate in comfort for the ultimate in campaign success! Our 0.7mm BIC (R) Grip Roller features fast-drying ink for clean, precise writing and a comfortable, textured black rubber grip. 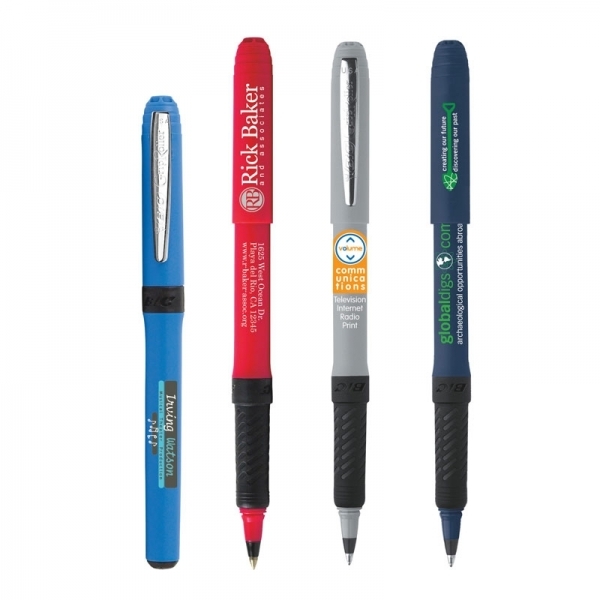 This two-piece roller ball pen with nickel plated trim was assembled in the USA under US Patent No. Des. 464,676S. 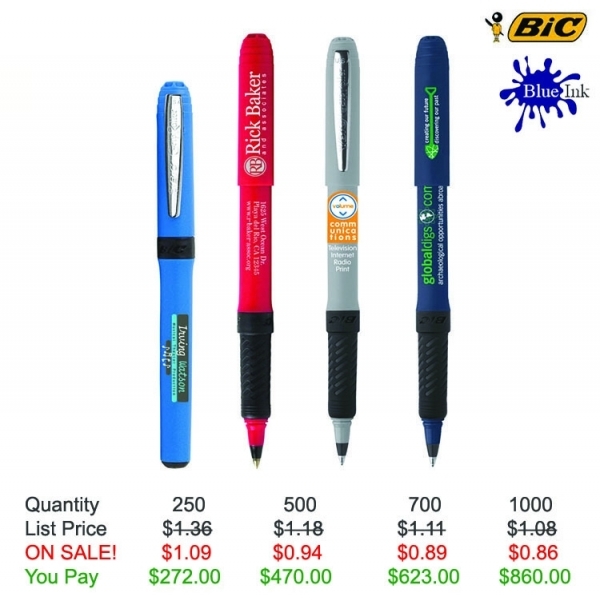 Spread your message far and wide with your silkscreened logo on the colorful surface of this durable, go-everywhere pen. Order yours now! Product Features: Fast-drying ink for clean, precise roller ball writing with nickel-plated clip. I am very pleased with the appearance and quality of the pens, and they write really well too. Thanks for all your help and the speedy delivery of our order.